At the 11th hour, the 49er class has been added to the Pan Am Games lineup along with additional quota places for the athletes expected to race. 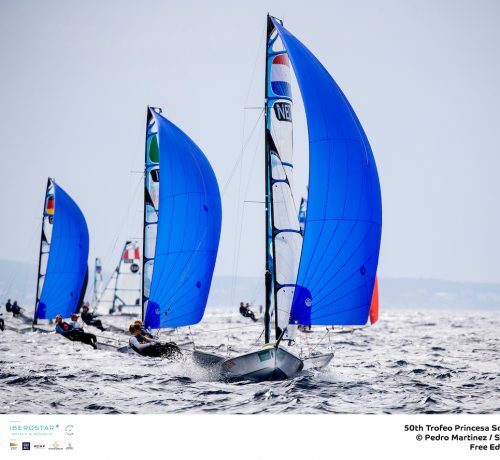 It joins the 49erFX and Nacra 17, along with 8 other disciplines in the PAG lineup. In December, a group of PASAF officials, World Sailing board members, class leadership and Pan Ams officials began collaborating on adding the class to the upcoming games in Peru. 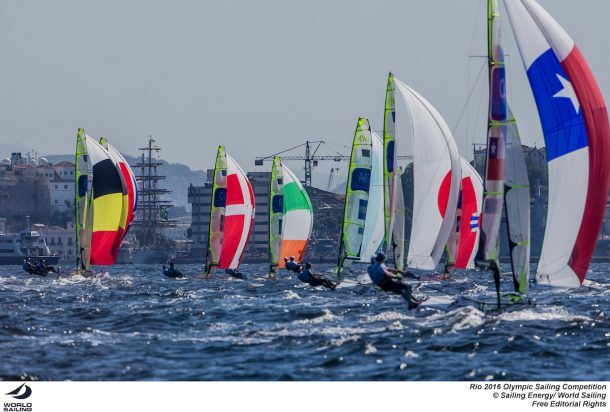 After only a month of negotiations, the 49er is now fully added to the games lineup, and best of all it will not crowd out the other sailing events as additional athlete quota places have been added as well. The critical piece was linking Olympic Qualifying to the inclusion of the 49er into the PAG. This is a win-win scenario all around. The Pan Am Games gains additional relevancy by having Olympic Qualification as an outcome of the racing. 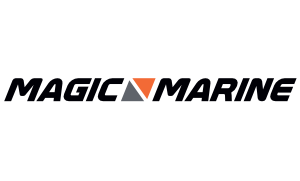 The MNA’s in the America’s can increasingly link their efforts towards the PAG with their efforts towards the Olympics, and the Athletes get an additional chance at a wonderful multi sport Games along with additional national funding. 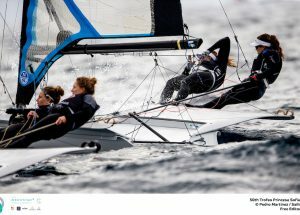 Being part of the Pan Am Games is a great development tool for the 49er class as well, as it should provide incentive more countries from the America’s to start racing skiffs. Pan Am Games participation, especially for those with medal potential, is a huge driver of funding in many countries in the America’s. Already, since the decision was released, the Chilean 49er team helmed by Benjamin Grez, a Rio 2016 participant, has revitalized his 49er campaign and will be able to attend the upcoming Miami World Cup. 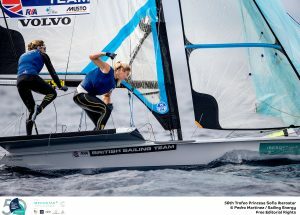 Benji Grez racing at the Rio 2016 Olympic Sailing Competition. The Pan Am Games will be in Lima, Peru starting on July 26, 2019. This long running games will be the highlight of a sailing career for some teams, and a stepping stone to Tokyo for others. The top team not already qualified from Worlds Qualifying from each of North and South America will win a spot to Tokyo. There might be some sailors conflicted about this decision. For example, deeper teams like the USA might now be at a relative disadvantage due to only getting 1 entry in Peru, compared to up to half a dozen teams being able to race an open continental qualifier. However, on balance, this is the best option for the class, sailors, PASAF, and the Pan Am Games. Qualifying for the Pan Am Games continues in Miami at the World Cup starting on January 29th.